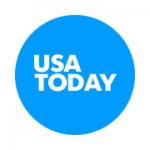 USA Today (Dec. 2013) - Anyone who has recently moved to a new residence has probably received one of the welcome packets from Our Town America. Founded in 1972, Our Town America is a national franchise that provides advertising services for small businesses to reach new residents in the community. It sends new residents a welcome package that contains gift certificates for mom-and-pop shops in the community. The goal is to find new customers by inviting new residents to try out services and products that these businesses have to offer. Our Town Arizona's clients are stores such as dry-cleaners, restaurants, fitness centers and dental offices. The company and its clients have built a business model that is mutually beneficial.